No one likes February. Despite being the shortest month, it feels the bleakest, and finding the motivation to do much of anything, let alone get outside to run in the cold, is a struggle. That's why we're challenging you, this month, to go on just four runs OUTSIDE in sub-forty degree temps. Between February 1st and 28th, complete at least four runs or walks in weather below 40 degrees. 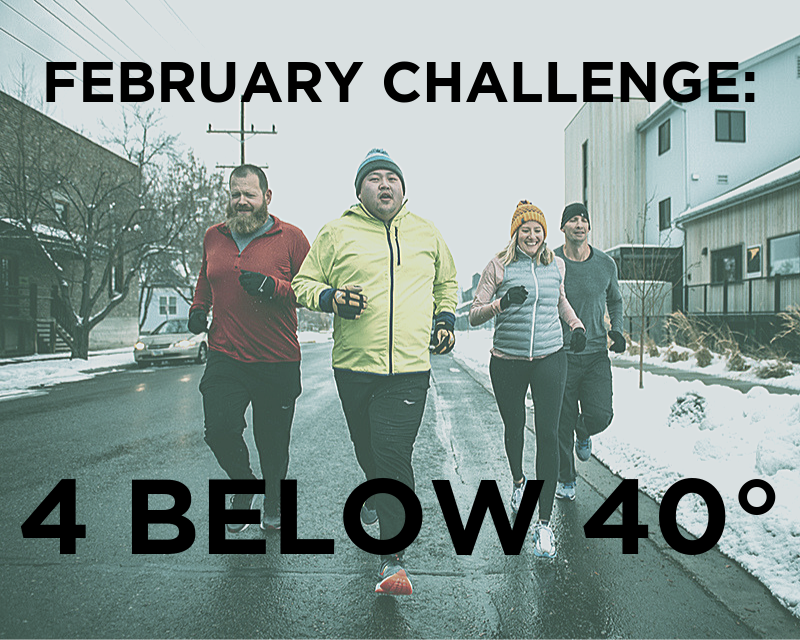 For each run, take a photo and post to social media, tag us (@fleetfeetral) and our vendor sponsor, Altra Running (@altrarunning) along with the hashtag #fourbelow40. Everyone who completes all four runs will get a handy neck gaiter from Altra, as well as an entry into a drawing to win a free pair of Altra shoes!